OXFORD, Miss. 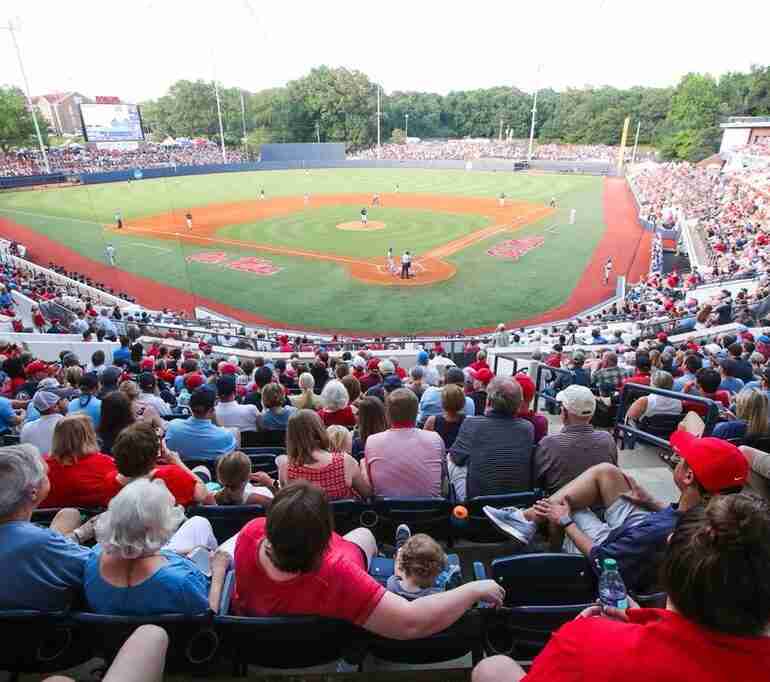 – Ole Miss proved worthy of its national seed on Saturday in the Rebels’ first game of the Oxford Regional, securing a 9-3 win over the Saint Louis Billikens that saw the Rebel offense explode yet again. 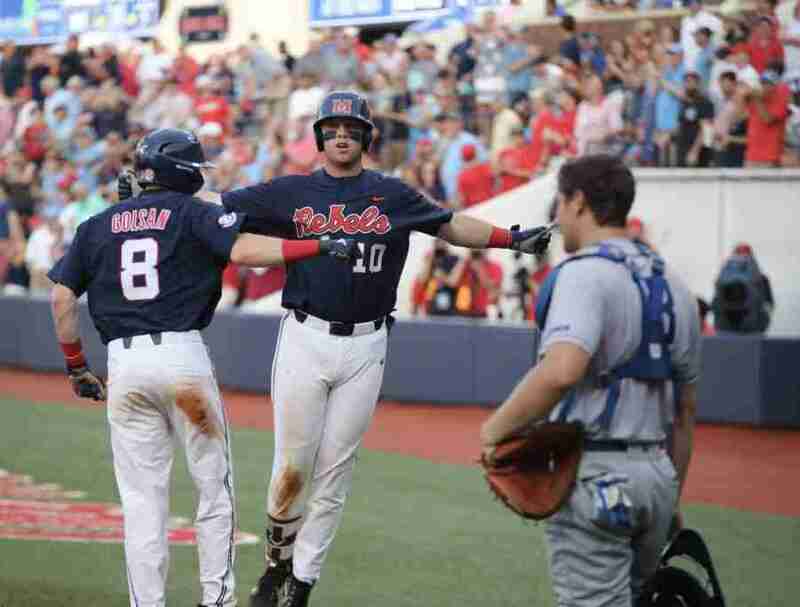 The machine that is the Ole Miss offense came up big in its first postseason game, racking up nine runs on nine hits and two home runs. “I’ve said it all year, this offense has been great,” Ryan Rolison said. Bianco threw his ace, Ryan Rolison, in the Rebels’ first game of the Oxford Regional. Rolison was effective in his relief outing in the SEC Championship, and he continued to dominate against the Billikens. He ended with a career-high thirteen strikeouts, two earned runs and four hits allowed, with three of those hits coming in the first two innings. Saint Louis took a one-run lead after the first inning and added another in the second to make it a 2-0 deficit for Ole Miss. This wasn’t a good omen for the Rebels as the Billiken’s ace, Miller Hogan, was on the mound. However, the highly-touted Hogan was exposed by the Ole Miss bats on Saturday. Coming into the game, Hogan boasted a 2.19 ERA in 102.2 innings, having held batters to a .196 batting average. Hogan was pulled after giving up nine hits, two homers and six earned runs in just three innings of work. “You can tell by just the number that he can command it,” Bianco said. Luckily, the Rebel offense came to play and the Billiken lead would not hold. Cole Zabowski got the party started with a two-run bomb to tie things up in the second. 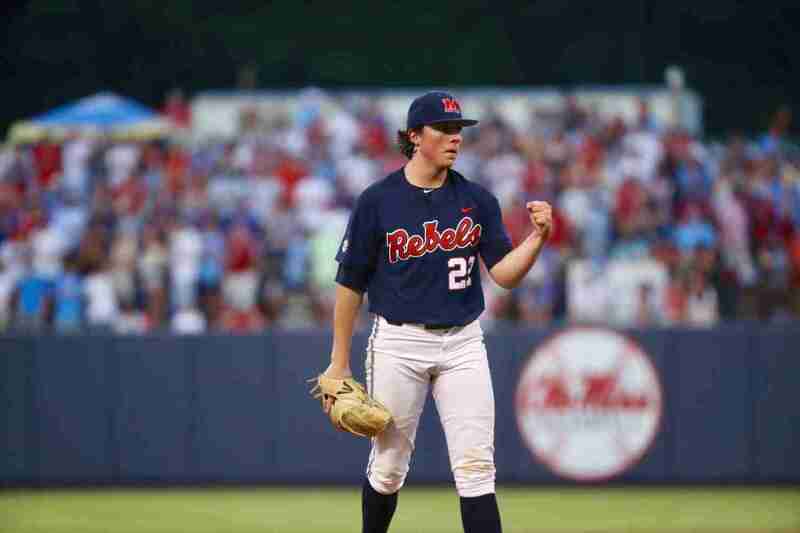 Moments later, Chase Cockrell would give the Rebs the lead with an RBI double. Ole Miss would go on to score three more in the second thanks to RBI’s from Jacob Adams and Ryan Olenek, along with one coming from a throwing error. In the third inning Tyler Keenan decided he wanted in on the fun. He sent one into the stands for his second hit of the night which scored two and pushed the Ole Miss lead to six. The impressive freshman didn’t miss a beat after not being able to play in the SEC Tournament. Reliever Max Cioffi closed the game for Ole Miss in the eighth and ninth innings, not allowing any hits and striking out two in two innings of work. With the win, Ole Miss is now set to play a talented Tennessee Tech team on Sunday at 4:00 p.m CT. Tennessee Tech defeated Missouri State in game one of the Oxford regional 6-4. If the Rebels can keep up this level of play they shouldn’t have trouble advancing past this weekend.